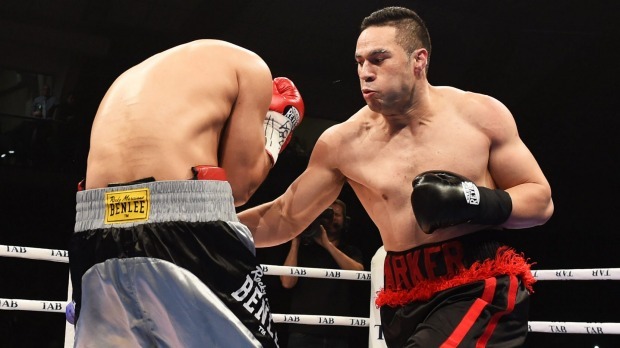 Former WBO heavyweight champion Joseph Parker 24-1 (18) is going to lay it all on the line when he meets perennial contender Dillian “The Body Snatcher” Whyte 23-1 (17) at the O2 Arena in London, England this weekend. The 26-year-old New Zealander, who is looking to get his career back on track after losing his world title to unified champion Anthony Joshua 21-0 (20) at Principality Stadium in Cardiff, Wales last March, hasn’t scored a knockout in his four heavyweight world title fights dating back to October 2016. In his bout against the 6-foot-6 Joshua, the shorter Parker boxed a composed fight however the referee, Giuseppe Quartarone of Italy, preventing both boxers from fighting on the inside which greatly impaired Parker’s game plan. This time around, the officials aren’t expected to have that sort of impact on the flow of the fight. “I think they’ve [manager David Higgins and trainer Kevin Barry] come up with neutral officials, so as long as they’re happy, I’m happy,” said a relaxed Parker. Meanwhile Whyte says he is prepared for any type of fight from Parker when they meet at London’s O2 Arena on Saturday night. “I know what I’m capable of,” said Whyte in a video interview for Sky Sports. Just like Parker, 30-year-old Brixton “Body Snatcher” has only ever lost to Joshua. “I know how hard I train so whatever he brings, it’s up to me to break it down and do what I gotta do, you know?” said Whyte, who knocked out Lucas Browne in six rounds in his last fight in March. “It takes two to tango as they say, so he might come along and box and run, so if it’s a points victory, it’s a points victory. But I’m prepared for a war for twelve rounds, for two rounds, whatever, you know. With just four days to go until the first bell, both men a chomping at the bit to get in the ring. “I’m just looking forward to just getting in the ring,” said Parker. “This is familiar territory to us. We’ve got a good set-up here with the hotel we’re staying at, so we’re settled and well.